عندما تزور فينتونبوري, ستشعر أنك في بيتك في Hamlet Downs Country Accommodation الذي يقدم لك إقامة متميزة و خدمات عظيمة. يمكن من هنا للضيوف الاستمتاع بسهولة الوصول إلى كل ما تقدمه هذه المدينة النابضة بالحياة. يوفر الفندق بفضل موقعة الجيد وصولاً سهلاً إلى أهم معالم المدينة.
. إن الخدمات التي يقدمها Hamlet Downs Country Accommodation تضمن للنزلاء إقامة مريحة. تتضمن الميزات الرئيسية في هذا الفندق: واي فاي مجاني في جميع الغرف, واي فاي في المناطق العامة, صف السيارات, غرفة عائلية, مرافق للشواء. تتضمن كل غرف النزلاء وسائل الراحة والتسلية المصممة خصيصاً لضمان الراحة القصوى للضيوف. يمكنك الاستمتاع بالأجواء المريحة التي تقدمها حديقة طوال النهار. إن كنت تتطلع إلى إقامة مريحة وهادئة في فينتونبوري، فستجد في Hamlet Downs Country Accommodation بيتك الثاني. Lovely room and pets！The owner is super kind and friendly，really helped us a lot！We will definitely book again next time:) By the way, she cooks really well! Comfy beds, cosy rooms. Beautiful surroundings. Attention to detail. Janifer is very nice and friendly, she cooked very well. We love both dinner and breakfast! Highly recommended ! Excellent evening meal in a charming cottage. Simply love the place and food.! Property is well positioned to access Mt Field NP and the Southwestern wilderness area. Friendly host Jennifa is a great cook; meals were fantastic to finish a long day. Breakfast also available. Fine local produce. 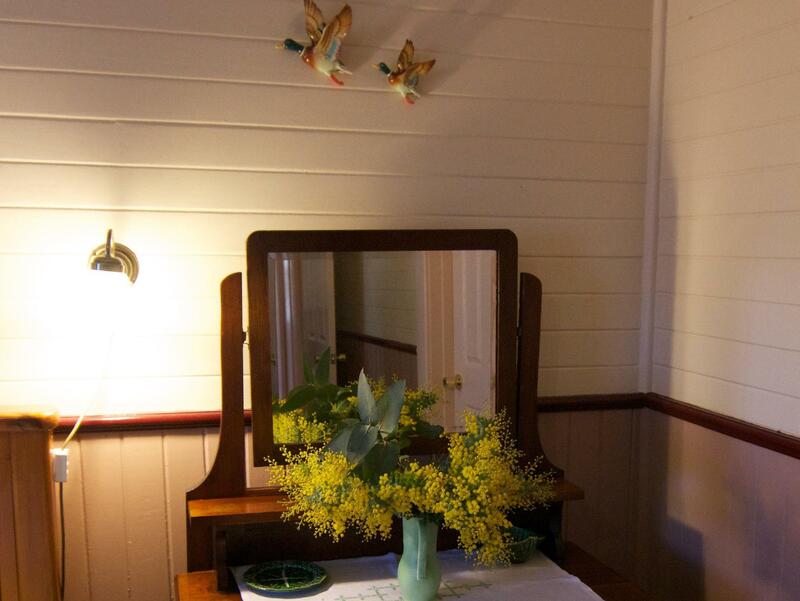 The King Suite has a sunroom looking over a beautifully kept garden, with views to the properties ponds containing platypus. Relaxing place to stay. The location was excellent ,the King Suite spacious , very clean . Breakfast & dinner magnificent . Jenifa : Thank You for pleasurable and memorable stay. We would strongly recommend Hamlet Downs.!!! Our stay at Hamlet Downs was awesome. 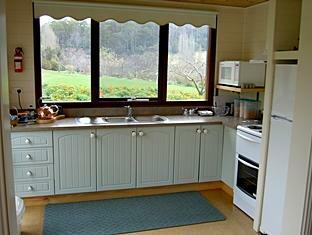 We stayed in a 2 bedroomed self contained unit so did our own cooking. The unit was very spacious and beautifully decorated. All the extra touches, such as complimentary port, fudge, cd's, dvd's, games and books made our stay not only pleasurable but memorable as well. 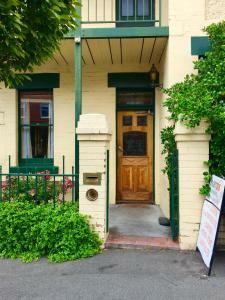 good food, big cosy private living room, kitchen and bed room. Nice garden. I like the cosy rooms and nice living room. A very well equipped kitchen is really convenient. The beef pie is a real 5 star cuisine. Wonderful place to relax and enjoy the peace. The service and friendliness of the owners was second to none. The rooms were comfortable and very clean. Food was amazing and presented in a beautiful way. Look forward to returning. Beautiful sightseeing, peaceful and lovely meal. 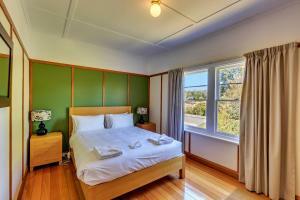 A very comfortable and pleasing stay with excellent accommodation and facilities. The room is clean, have a big kitchen. But quite far away from Hobart. We enjoyed our stay very much. One of the nicest B&Bs we have stayed in. Walking the grounds was great. Very helpful owners. 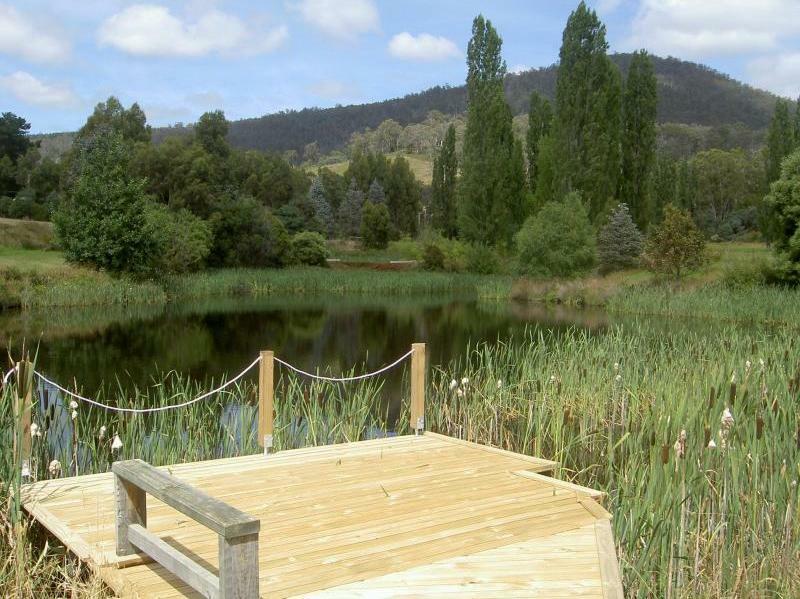 Besides being a real gem of a place, Hamlet Downs is conveniently located very near to the Mt Field National Park. Our hosts, Peter and Sue, were very kind and friendly. The family suite, which included a small kitchen, fridge, dining table and lounging area with a TV and fireplace, was thoughtfully kitted out with everything you'd need to make you and your travelling companion(s) comfortable while on vacation. Above all, the countryside was lovely and peaceful in every way, accentuated by the flowers that bloomed beautifully. If you have a soft spot for animals, you would enjoy meeting Puss Puss the cat, the goat and chickens, all of whom are curious and amiable and would come right up to you. Happy animals are naturally trusting of people, aren't they? I went out to the pond in the morning and spotted a few brown creatures swimming and apparently foraging for food amongst the grasses growing in the water beside the bank. I think and hope they were a group of platypus! 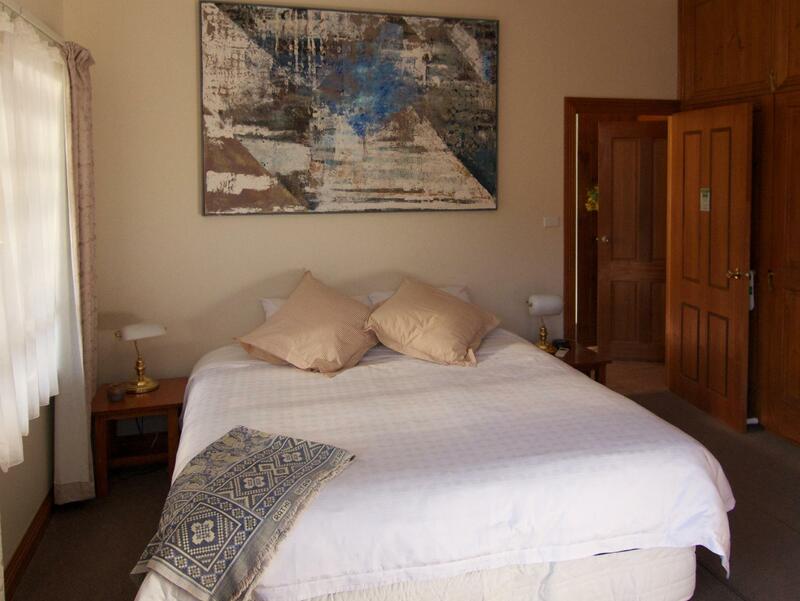 During my 10-day sojourn in Tasmania, Hamlet Downs was the best place that I had stayed in. I would strongly recommend that you find yourself there someday soon!